AGNIJASHATADALAMA PAYPAL AND PATREON- my huge leap! Charles W Martin, author of Hawk Chronicles – an interview. David Stewart and his greenwalled tower. Kevin Cooper the author of Miedo and more. No Pseudonyms and Representatives AS OF NOW. This Ezine contains my creations only, just an overactive muse trying to create something that will last for a few years, maybe decades! my initial urge was to just blog, then the desire to leave my name behind came and I published my works (only 5% of total) through a set of books, which are listed here or you can find them in amazon.com/author/sharmishthabasu) but after a huge list of books in amazon I realized it is not working, my muse is filling up my computer with more and more work and is still creating and creating. So I decided I will go for an ezine. One Ezine. I was sure that no one will write for free but still, for the sake of some lovely works I requested my friends and they poured in!! 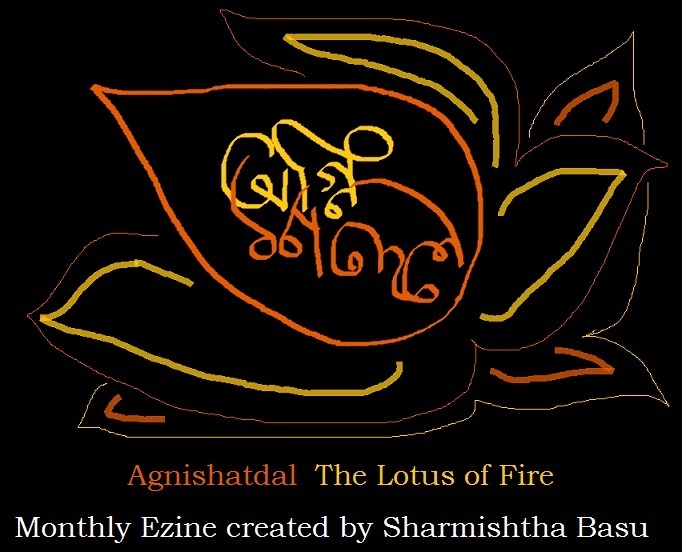 Finally I had to create Agnijaat too, to keep the ezines a little short in size. I wont be raising the price over 1$ before 2017 1st Shraban. So… for the sake of sweat and toil I sliced them into two. want to write an email? Indie Adda in Goodreads too!